In by-elections this week, the LKP and the Justice Party each snagged a seat. Progressives and conservatives shared the spoils of the April 3 by-election in South Korea, gaining a seat apiece of the two available. The candidate for the progressive Justice Party, Yeo Young-guk, won in the industrial city of Changwon while the conservative Liberty Korea Party (LKP) candidate, Jeong Jeon-Sik, recorded an expected victory in nearby Tongyeong-Goseong. Despite the by-election not being a public holiday, turnout exceeded expectations at 51.2 percent. Focus was largely on the race in Changwon where Yeo defeated his conservative opponent by a mere 504 votes. As results came in it looked like a comfortable victory for the conservative candidate who held a consistent lead up until 90 percent of the votes were counted. The national broadcaster, KBS, went so far as to preemptively declare the race in favor of the LKP candidate. When the final results were announced, however, it showed a dramatic turn with Yeo ahead by 0.54 percent. Yeo’s success was partially due to the ruling Democratic Party agreeing to withdraw their candidate in order to prevent an LKP victory. The Democratic Party and Justice Party agreed to unify behind the candidate which performed better in opinion polls. This progressive inter-party cooperation is likely to provide the model for certain districts in the 2020 general election. For the Justice Party, the victory in Changwon was of great symbolic significance as the seat was held by the party’s charismatic leading figure, Roh Hoe-chan, until his suicide last July. After the loss of such a central figure to the minor leftist party, regaining Roh’s seat was seen as vital in upholding and continuing his legacy. Regaining the seat also gives the Justice Party sufficient numbers in the National Assembly to re-establish a joint parliamentary negotiating body with the Party for Democracy and Peace, a fellow minor party. The race in the conservative stronghold of Tongyeong-Goseong was far less dramatic with the LKP candidate, Jeong, winning by a 23 percent margin. The seat was left vacant after the previous LKP candidate, Lee Kun-Hyeon, was found guilty of accepting illegal political funds shortly after his election. His successor, the newly elected Jeong, has also been accused of breaking electoral law after it was revealed an associate offered money to a journalist for favorable media coverage. Jeong has denied any connection to the individual involved. These by-elections were the first real test for new LKP leader Hwang Kyo-Ahn, since winning leadership of the party in February. With Hwang as party chief, the party’s rhetoric has been more inflammatory, characterizing the Moon administration as a “leftist dictatorship” and questioning the validity of conservative former President Park Geun-Hye’s 2016 impeachment. On the ground, the LKP campaign largely focused on the economy and youth unemployment. The current administration’s reluctance to expand nuclear power also came into focus for strong criticism, with the LKP claiming it has hurt the local Doosan Heavy Industries factory which produces nuclear reactor parts. Some have argued the downturn in business for the factory has had a depressing effect on the wider local economy. These arguments however were overshadowed by controversies of the party’s own making. The largest came when Hwang Kyo-Ahn and other LKP officials forced their way into, and campaigned inside, the Gyeongnam FC stadium. Not only did this result in the club being fined 20 million won ($17,580), an amount LKP have said they will not pay, it may also be a violation of campaign laws. Former Seoul mayor Oh Se-Hoon’s crude comment on the suicide of the late Roh Hoe-chan also sparked outrage. While it is difficult to extrapolate from such a small sample, LKP’s loss in Changwon may be indicative of the limits of the rally-the-base approach. While it has reignited enough support to begin polling respectably again, the party may not appeal to sufficient numbers of moderates to take swing seats in the 2020 general election. The Democratic Party is unlikely to be as dominant in 2020 as the 2018 clean sweep in local elections, but current indicators suggest that LKP are yet to fully recover from the events of 2016. Adam Pepin-Hall is a Korea watcher at the University of London’s School of African and Oriental Studies. 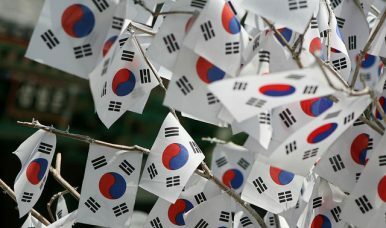 Can South Korea Enact Electoral Reform In Time? The 2020 clock is ticking on crucial Korean electoral reforms.